Soar high over the Okavango Delta on a helicopter ride. Customize your adventure with a variety of optional excursions. 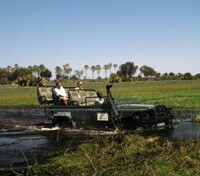 Embark on daily 4x4, canoe, and foot safaris in search of the Big 5. Featuring expertly selected luxury hotels. To ensure a seamless experience, a documents package containing useful information including a detailed itinerary with pick­-up and drop­-off times, emergency contact information and relevant e­-tickets will be provided to you. The Residence is located in the historic suburb of Houghton, which is also home to many famous residents including former President Nelson Mandela. The Residence exudes a charming air of quiet dignity, with an abundance of bougainvillea blossoms cascading down the terraced gardens. On arrival at The Residence, you are greeted warmly and graciously before being shown around the guest areas on the ground floor. There is an immediate awareness of the sophisticated splendor of the interior and an all-pervading atmosphere of total tranquility. The entrance hall leads through to the sumptuous lounge and sitting room with plush furnishings inviting carefree relaxation for all seasons. A cozy log fire is lit in the fireplace on chilly days, while doors opening onto the long, spacious veranda offer a cool respite from the warm African sun. Guests are welcome to take a stroll through the manicured gardens and enjoy a game of tennis or swim a few lengths in the large outdoor pool. Arrangements can also be made for guests to work out at a nearby gymnasium or play a round of golf on the Houghton Golf Course. 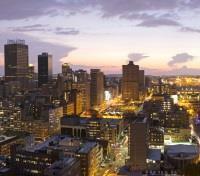 Board a flight in Johannesburg with direct service to Livingstone. Approximate flight time is two hours. Enjoy your airport transfer to/from Royal Chundu. Daily sundowner river cruise: Cruise down the beauty of the Zambezi as the sun sets in the African sky. 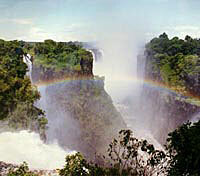 Victoria Falls tour: Go on a half day walking tour of the Victoria Falls and rain forest, with a stopover at the curio stalls and tea or coffee at a local cafe. Community tour and walks: These village tours gives you a rare chance to interact with the villagers of the community as they go about their daily activities. 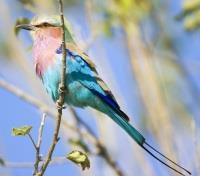 Birding Safaris: Choose from a morning (sunrise), afternoon (sunset), night time or full day birding safari with private guide and vehicle. Canoeing: Go on an exciting canoe trip, through the channels of the Zambezi’s islands, with great sights and abundant bird life to soak in. 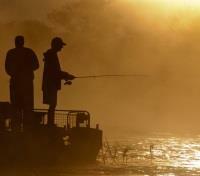 Fishing: Royal Chundu is renowned among the professional angling fraternity for its superb fly fishing. The Royal Chundu Island and River Lodges are exclusively located on the banks of the Zambezi River, at about a 40 minute drive from Livingstone. The lodges enjoy a privileged location where they remain secluded from civilization and the trappings of the modern world. Enjoy true luxury, while nature is a mere stone’s throw away. Royal Chundu offers visitors every comfort in a beautiful surrounding with interiors designed to provide a memorable experience. Find the breathtaking Victoria Falls 30 kilometres downstream from Royal Chundu and witness the magnificent convergence of two countries. 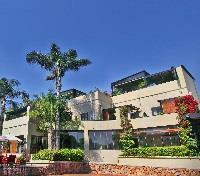 Royal Chundu is the place where the spirit of Africa can be experienced and savoured. For those craving something different, sign up for some additional services and activities such as massage treatments, helicopter flights, micro flights or white water rafting (Cost not included with your hotel stay). Speak to your Destination Expert to book these activities ahead of time, or simply book them during your stay at Royal Chundu. Transfer between Livingstone and Chobe lodges. A Full day Game Activity includes cruising on the Chobe River, driving within the Chobe National Park and a sumptuous picnic lunch and drinks. 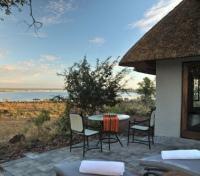 Ngoma Safari Lodge is situated in northern Chobe, Botswana, within the Chobe Forest Reserve. Ngoma Safari Lodge is 55 km from the nearest town, Kasane, and 135 km from the magnificent Natural Wonder of Victoria Falls. Exclusive river-facing suite offers a quiet refuge, and also includes an indoor bathroom, indoor and outdoor showers, a private outdoor sanctuary, and plunge pool. 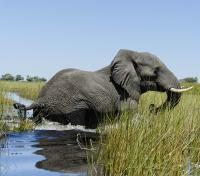 With one of the largest concentrations of wild game in all of Africa, Chobe never fails to amaze. Enjoy a day of included activities from your Chobe camp, allowing you to take full advantage of this wildlife mecca. 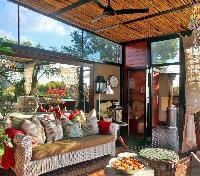 The day is at leisure to enjoy the game viewing activities on offer at your lodge. 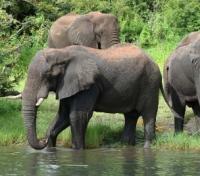 With the largest population of Elephants in Africa, you will surely want to try a Boat Safari today. The lodge's staff will provide a shared transfer to the airstrip. 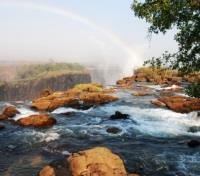 This short flight departs Kasane airport and travels to Okavango, Botswana. Passengers weighing more than 110 kg (264lb) must purchase an additional seat. At &Beyond Xaranna Okavango Delta Camp, the staff's passion is to share their knowledge and understanding of the bush and its inhabitants with all guests. - Twice daily game drives: guests can explore the wildlife surrounding Xaranna on morning and afternoon game drives in an open air 4x4 safari vehicle, accompanied by an armed guide and tracker. The landscape traversed on game drives includes floodplains, as well as seasonal grassland, woodland, shrubland and savanna. Game drives track the Big Five, as well as a variety of other animals, including the semi-aquatic lechwe and sitatunga antelope. 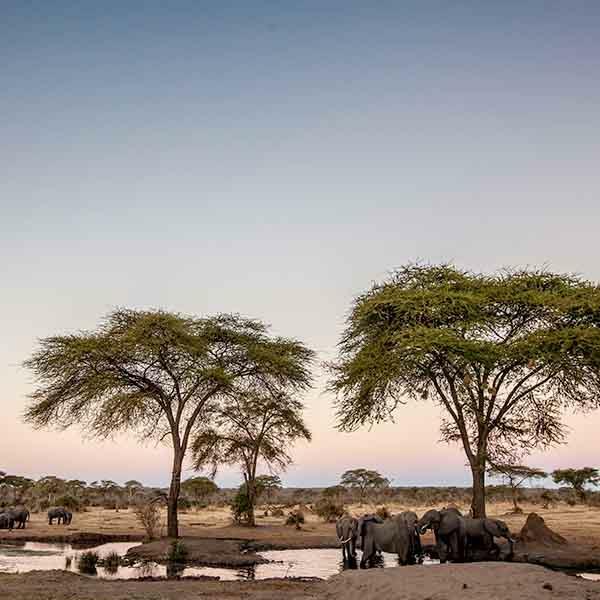 - Interpretive bush walks: take a leisurely walk in the surroundings of the Camp to take in the sights, smells and sounds of the Okavango Delta, accompanied by an armed guide. Learn about how elephant are vital to the survival of the fan palm, try to spot the elusive Pel's fishing owl and keep a sharp eye out for the shy bushbuck. 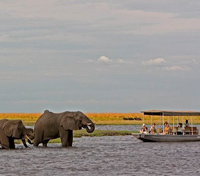 - River cruises in an electrically powered ‘eco boat’ or mokoro - explore the waterways of the Okavango by boat in the company of our experienced guides. Learn the fascinating details of the Delta's network of channels, fringed by dense reeds and papyrus. A good variety of fish can be found in the clear waters and fishing trips can be arranged on request during fishing season (1 March to 31 December). Spot the nests of weavers and warblers in the papyrus beds and watch out for malachite kingfishers among the taller stems. Beautifully coloured frog species, such as the painted reed frog, abound. 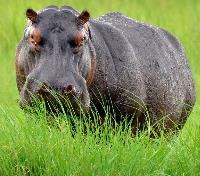 Waterlilies brighten up the surface of lagoons, where sleepy hippo splash beneath the surface. Seasonal water-based experiences include motorized boat, mokoro and fishing excursions. 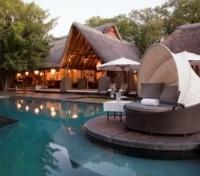 &Beyond Xaranna Okavango Delta Camp is the epitome of safari luxury. 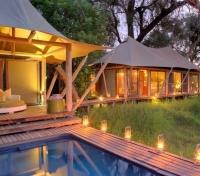 Situated on the Okavango Delta in Botswana, the camp offers 9 tents. These boast luxurious furnishings and beautiful lounge spaces for suite-style living. Private plunge pools accompany the tents. Feast on exquisite bush cuisine, as prepared by local chefs. Also savor a selection of continental dishes. A setting in the wild adds to the experience. Later, plan a game drive for an adrenaline rush. Otherwise, spend some time in contemplation on the viewing deck. Depart from Johannesburg international airport - End of itinerary.